Outstanding alumni of the College of Forestry and Natural Resources (CFNR) who have significantly contributed to forestry education, research, and leadership were recognized during the CFNR’s alumni homecoming celebration on Apr. 20 at the Nicolas P. Lansigan Auditorium. Dr. Jesus Bienvenido R. Rola, retired CFNR professor, received the Most Outstanding Alumnus Award, otherwise known as the Mancono Award, for his efforts to improve the facilities of CFNR even after his retirement. Dr. Rola had also been awarded the Outstanding Public Service Award in the International Sector in 2000. Mancono is the common name for Philippine ironwood (Xanthostemon verdugonianus Naves), a tree species native to the Philippines that is known to yield the hardest timber (http://www.iucnredlist.org/details/summary/33338/0). Alumni in public service were also recognized for their leadership and contributions to their respective institutions. Recipients of the Outstanding Public Service award were Dr. Honorio M. Soriano, president of Pampanga State Agricultural University (institutional development); Cenon B. Padolina, researcher and technical expert in natural resource management (private sector); and Federico L. Ocampo, former Regional Technical Director of the Department of Environment and Natural Resources (DENR) Region IV-A. The Minister of Agriculture and Forestry of the Kingdom of Bhutan, Yeshey Dorji and DENR’s Bresilda M. Gervacio, assistant secretary for financial management and information systems, were also given the Outstanding Public Service Award for international and government sectors, respectively. Outstanding Institutional Service Awards were given to Ina Q. Guillermo, for applying her research on carbon sequestration to countryside development and advancement of renewable energy; and Dr. Edwino S. Fernando, for his invaluable role and service as a professor of CFNR. Joining the institutional service awardees were Dr. Nathaniel C. Bantayan, for his pioneering work in using Geographic Information Systems, establishing forest canopy science, and his pivotal role in making the Mount Makiling Forest Reserve an ASEAN Heritage Park, and For. Roberto P. Cereno, for his initiatives in institutionalizing training and continuing education in forestry and natural resources and developing programs for sustainable ecotourism in the Philippines. 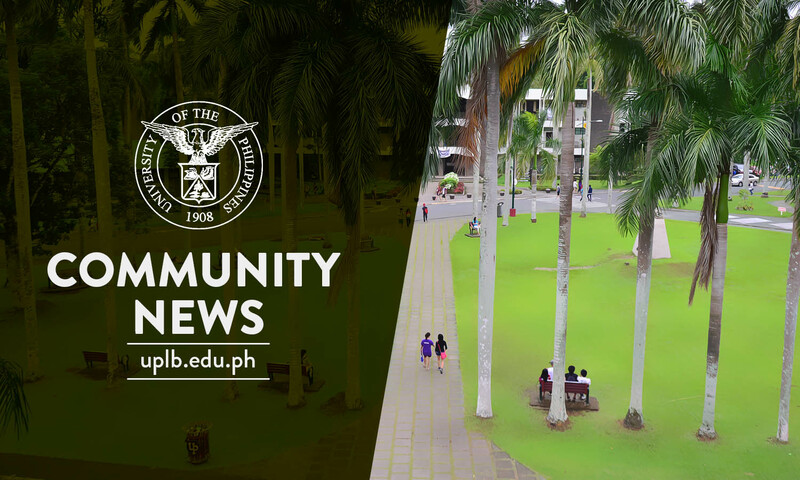 Dr. Portia G. Lapitan, vice chancellor for academic affairs, read a message on behalf of Chancellor Fernando C. Sanchez, Jr. that encouraged the CFNR alumni to become UPLB’s partners in revitalizing the BS Forestry program. In his message as guest speaker, Hon. Roy A. Cimatu, Secretary of Environment and Natural Resources, who was represented by awardee Gervacio, shared the priorities of DENR under the current administration, including restoration of forests and protected areas, social justice in land titling, good and effective governance in environment protection, climate change adaptation, sustainable use of natural resources, and conservation of coastal and marine resources.